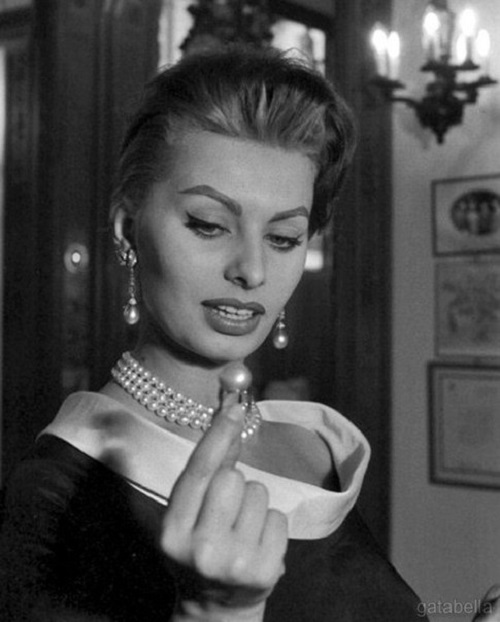 In the above photo of 1956, Italian film actress Sophia Loren is in awe of a Cartier 200 grain pearl ring in a Parisian boutique. She did not buy anything there, the jewellery boutique managers gave her a bronze Eiffel tower. When we hear the phrase “icon of style” in front of our eyes are images of Audrey Hepburn, Sophia Loren, Marilyn Monroe, Catherine Deneuve … These names have conquered the hearts of millions of men. The beauty and talent of the great actresses of the 20th century have earned the status of style icons. Each of these film stars in herself is already trendsetter. Film stars inspired the designers to develop exclusive collections of clothes and accessories. Famous jewellery houses created decorations especially for the roles of legendary actresses. 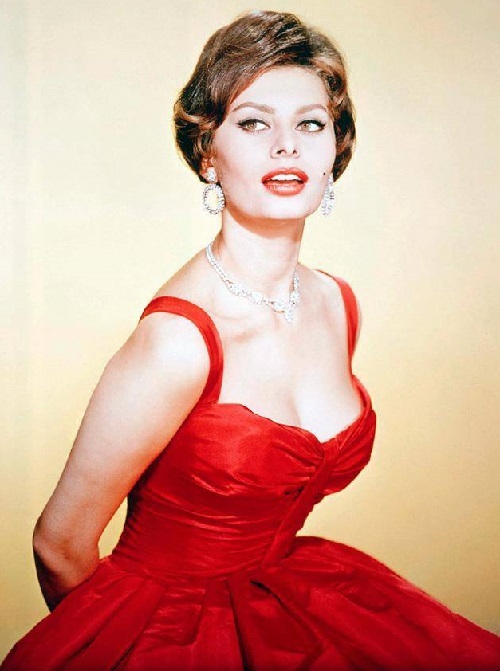 The icon of style, Sophia Loren transcended illegitimacy and poverty to become the most famous film star in Italy. Coached by the producer Carlo Ponti (later her husband), she acted in Italian movies from 1950, including The Gold of Naples (1954). Loren played a number of Mediterranean roles for Hollywood films, including Stanley Kramer’s The Pride and the Passion (1957) and Melville Shavelson’s Houseboat (1958), in which she worked with Cary Grant. 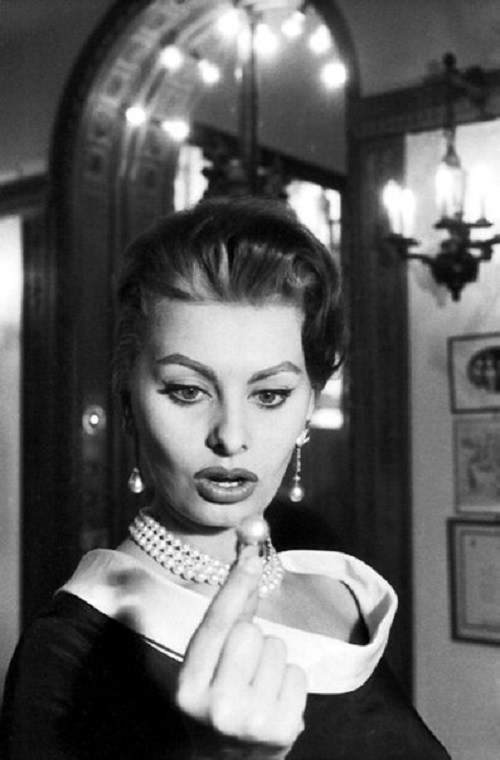 In 1957 Loren and Ponti married in Mexico, but Italian divorce law did not recognize the marriage. 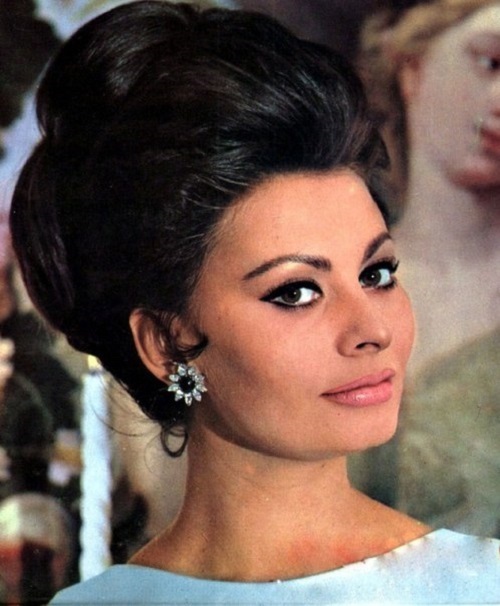 As a result of marital and financial problems, the couple became the target of Italian paparazzi, and Loren even spent several weeks in an Italian prison in 1982 for tax evasion, a crime that only increased her popularity in Italy. 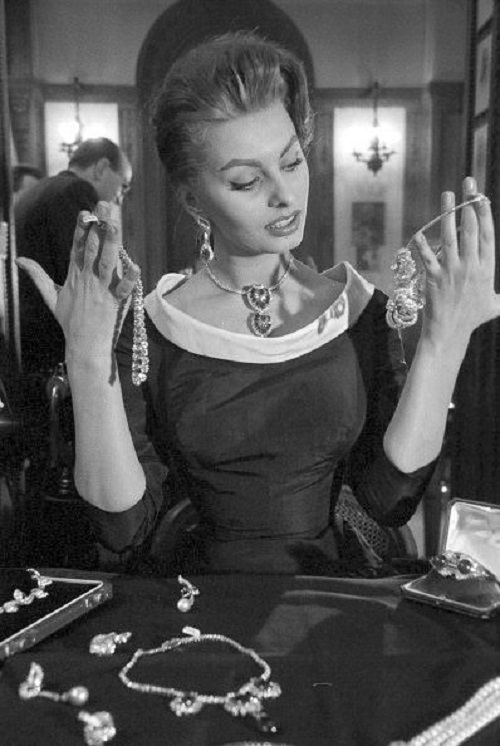 Italian jewelry house Damiani dedicated their 2006 collections to one of the most beautiful women of the last century, Sophia Loren. 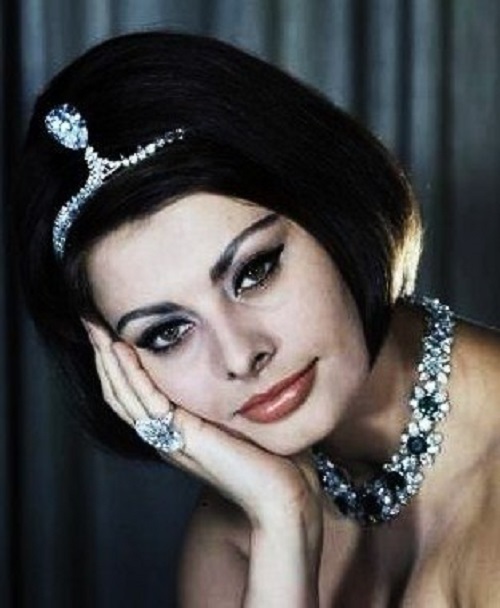 Jewelry reflected the charming beauty and elegance of luxury Italian actress. 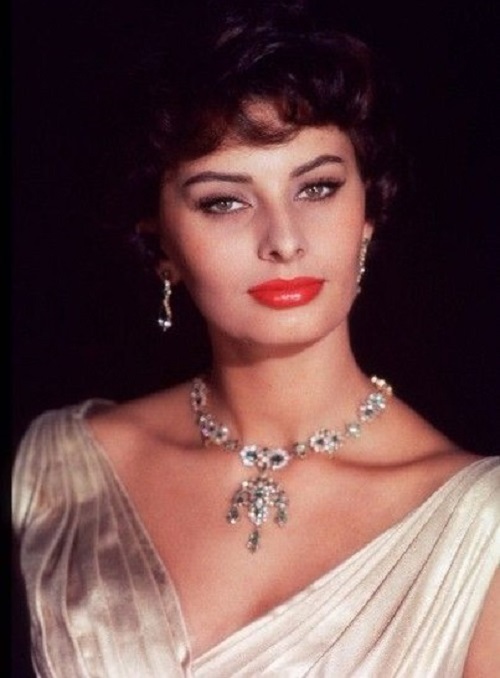 For the Sophia Loren jewellery collection was used gold of two colors – pink and white. The collection kept balance between contemporary fashion (it symbolizes the pink gold) and the familiar classics (white gold). The collection included necklaces, rings, brooches, pendants and two kinds of earrings. All ornaments were designed in one style – circles, swirls of pink gold, decorated with flowing cascade of clear classic cut round diamond. 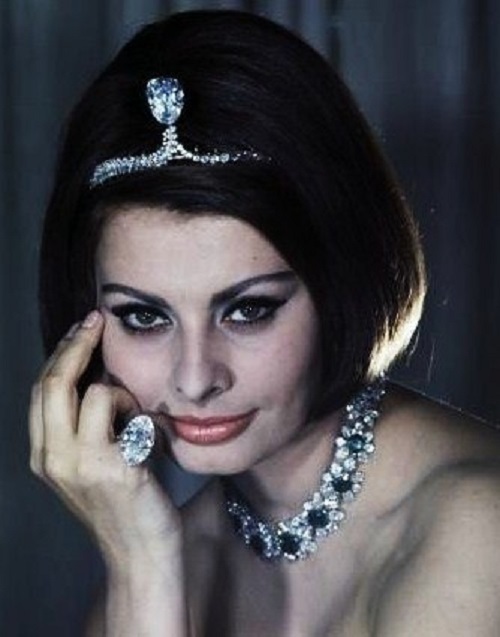 But for the presentation of the eponymous collection of Italian cinema star Sophia Loren chose necklace class Haute Joaillerie white gold and transparent diamonds weighing 81 carats. Luxury necklace was created in the single copy specifically for the presentation. Damiani Jewelry has become an indispensable companion of the Italian movie star on the red carpet. So, in 2003 in Kiev at the XXIII International Festival of Film Composers she appeared in the the classic Belle Epoque necklace. In 2004, for the closing ceremony of the Venice Film Festival Italian film star chose a pearl necklace with white diamonds by Damiani. Without Damiani jewelry no significant event in the life of film star is complete, including the wedding of her son. For the wedding the young couple selected Damiani rings from a known collection D. Side. 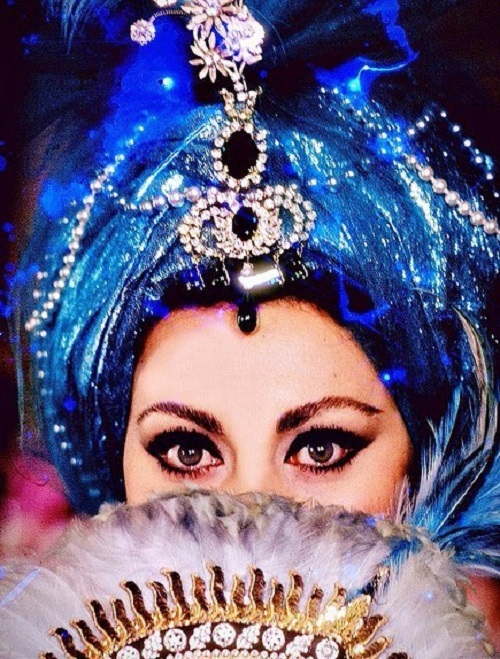 Since 2006, Italian actress wears jewelry, devoted to herself. 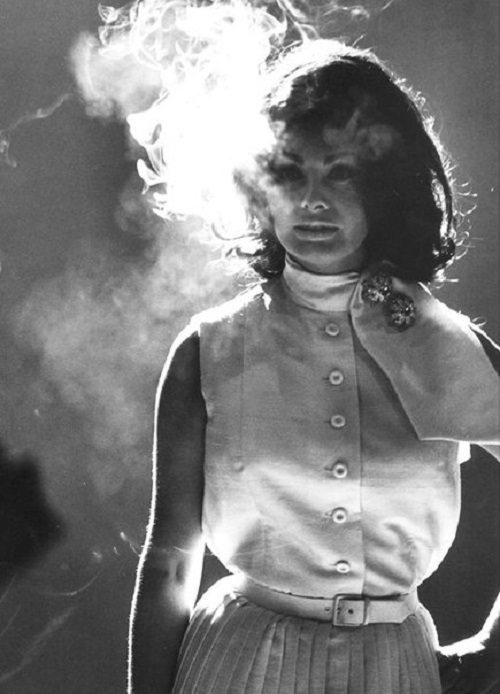 Sophia Loren took part in the premiere of the eponymous collection in Beverly Hills, New York, Tokyo, Dubai and others.